China will temporarily slash punitive tariffs on U.S.-made cars and auto parts in a move to advance a trade deal with the United States. The Finance Ministry said Friday China will drop additional tariffs of 25% on autos and components imported from the U.S. for three months starting Jan. 1. That will lower duties on American cars to 15%, the same as on cars imported from other countries. 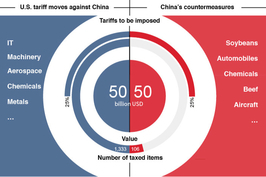 Chinese President Xi Jinping and U.S. President Donald Trump agreed earlier this month in Argentina on a 90-day truce to the months-long trade war for the two countries to negotiate a deal. Last week, Trump tweeted that China agreed to “reduce and remove” tariffs on American-made vehicles, pushing up auto stocks in the U.S. The Chinese government will halt the imposition of duties that affect 211 product lines, such as hybrid passenger vehicles, diesel-engine trucks, chassis and seat belts for three months, the Ministry of Finance said. 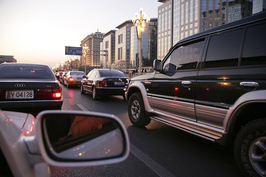 Beijing will also suspend a 5% tariff on 67 auto parts. The tariff suspensions provide relief for American car makers hit by the punitive duties. Following Beijing’s Friday announcement, Reuters reported that the electric carmaker Tesla reduced the price of certain Model S cars by as much as 105,000 yuan ($15,000) and of the Model X by as much as 65,000 yuan ($9,500) on its Chinese website. In July, China reduced duties on all imported vehicles to 15% from 25% but later, in retaliation to Washington’s punitive tariffs on Chinese goods, jacked up the rate on American autos to 40%. The sting of steep tariffs was felt immediately by U.S. automakers. In August, China imported just 15,000 vehicles from the U.S., a 34% slump from August 2017. At the same time, imports from the European Union surged by more than 27% to 64,000. The cars most affected by the trade frictions are Tesla and Ford’s Lincoln brands, both of which are not locally produced in China. Following the implementation of China’s punitive tariffs, Tesla raised prices in China. The price of the Model S was raised by nearly 140,000 yuan, and the Model X by 250,000 yuan. Customs clearance data obtained by Caixin showed that Tesla didn’t export a single car to China in October. On Nov. 22, under sales pressure, Tesla announced it would lower the prices of products sold in China by 12% to 26%. Lincoln had originally planned to absorb the additional tariffs, but in October, Ford said it could not afford them for the long term and was therefore considering passing some of the tariffs on to Chinese consumers. Earlier this month, auto dealers told Caixin they estimated the elimination of punitive duties on U.S.-made cars would benefit sales of not just American brands but also those of European cars produced in the U.S., such as the BMW X5 and X6 series and the Mercedes-Benz GLE and GLS series. 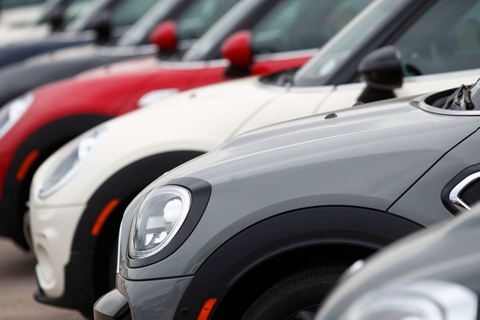 The share of imported vehicles in China’s total auto sales has remained between 3% and 6% over the past 10 years, according to a Citic Securities report last week. The share is expected to increase to about 8% following China’s tariff cut in July, Citic estimated.